Chloe is my pride and joy, and the best companion I could ever wish for. 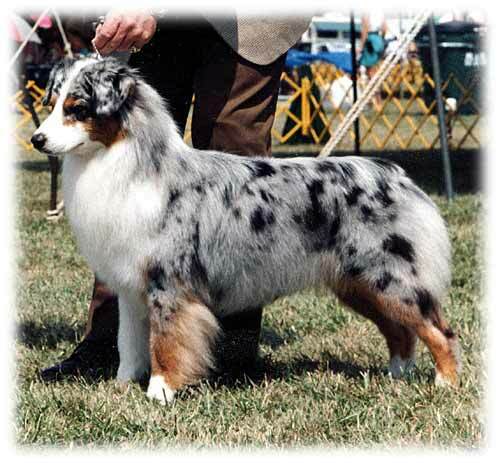 One of her greatest accomplishment was winning Best of Breed at the Westminster Kennel Club dog show in 1998 -- the first female Aussie to achieve this in breed history! 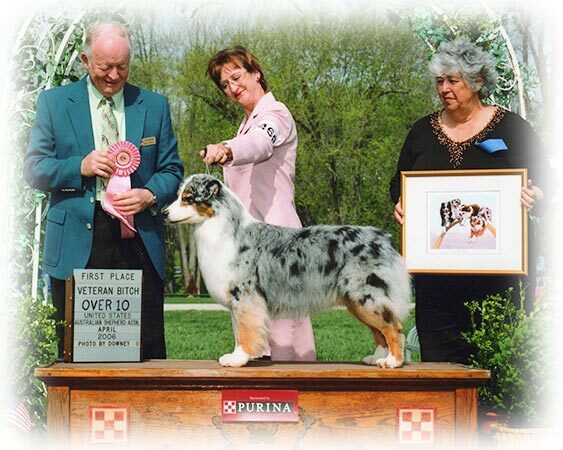 She is also a Best In Show Specialty winner. live with me. Chloe is OFA good, elbows clear, and eyes cleared yearly.